Its my challenge this week and as you know I love layers so that’s it ..Just Add Layers …that’s more than two! Here’s mine! I have 6 layers on this card! 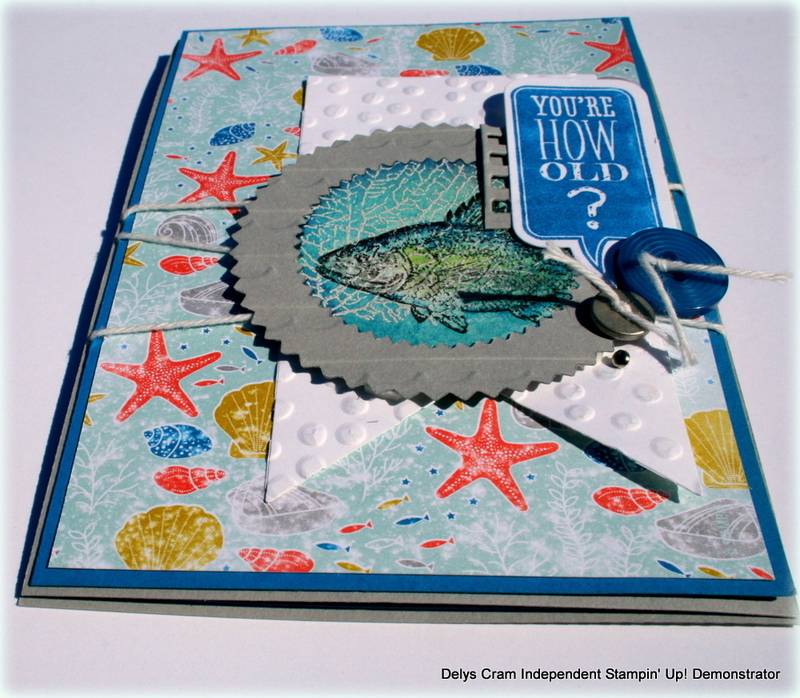 I hadn’t had By the Tide stamp set out for some time so I embossed the coral with Smoky Slate and stamped over the fish with Stazon onto water colour paper and coloured with my aquabrush. The DSP is High Tide DSP (occasions catalogue). I was pretty chuffed to discover that if I turned the Scallops Textured Embossing Folder over then it looked like waves! Lightbulb moment lol. 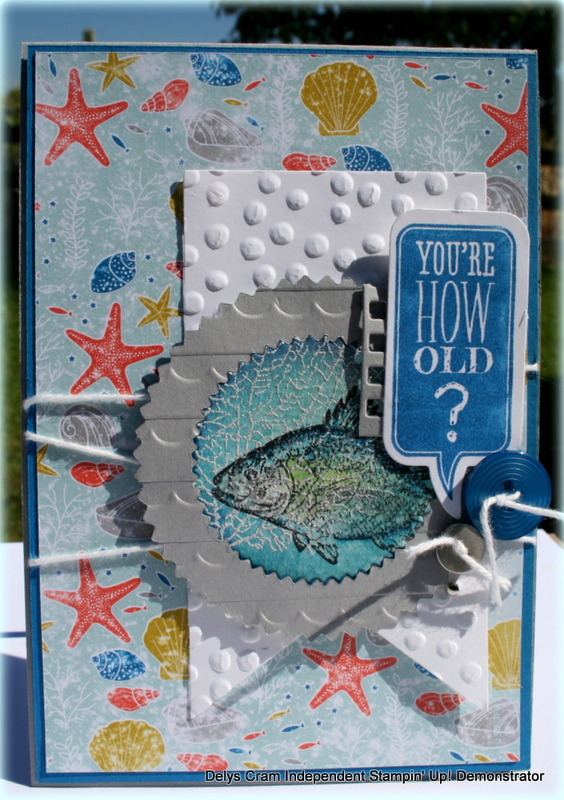 Lots of framelits used on this card…Banner, Starburst, on Film and word bubble …love em! Have a lovely weekend wherever you are..
Yep, we know you love layers and you put them together well. Great card Delys. Love your underwater themed card! You’ve matched up all the colours perfectly. Perfect! I love this fab masculine card Delys!